Rufus Randolph Pegues was born on 6 February 1830 in Marlboro County, South Carolina. Jane Johnson appeared in the US federal census of 1 June 1850 in Marlboro District, South Carolina. 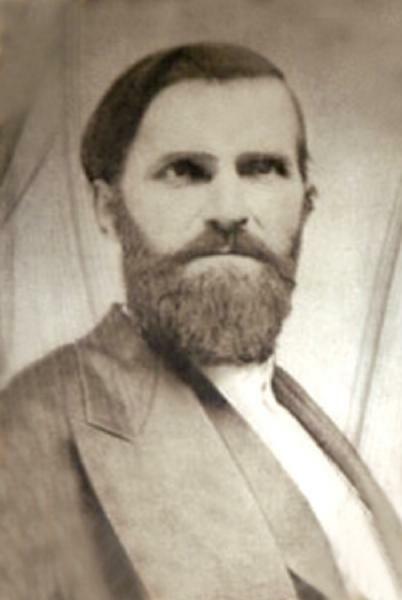 Other members of the household included Rufus Randolph Pegues, James Pegues. Also in the household was Harriet Pegues, age 14, likely her granddaughter, although Harriet is also enumerated with her parents in Chesterfield. He was a college student, according to the 1850 census. He married Nancy Godfrey Gillespie, daughter of Samuel Wilds Gillespie and Harriet Pegues Godfrey, on 23 February 1859 in Cheraw, Chesterfield District, South Carolina, and Nancy's sister Sarah married Rufus' brother Benjamin. Rufus Randolph Pegues and Nancy Godfrey Gillespie appeared in the US federal census of 1 June 1860 in Bennettsville PO, Marlboro County, South Carolina, enumerated next to Rufus' mother. He was a Methodist minister, according to the 1860 census. Rufus Randolph Pegues and Nancy Godfrey Gillespie appeared in the US federal census of 1 June 1870 in Wadesboro Township, Anson County, North Carolina. Other members of the household included Jennie May Pegues, Marlborough Pegues and Harriet Elizabeth Godfrey Gillespie. He was a Methodist minister, according to the 1870 census. Rufus Randolph Pegues died on 17 October 1877 at age 47. His wife Nancy Godfrey Gillespie became a widow at his death. He was interred at New Hope Methodist Church Cemetery, Wallace, Marlboro District, South Carolina.